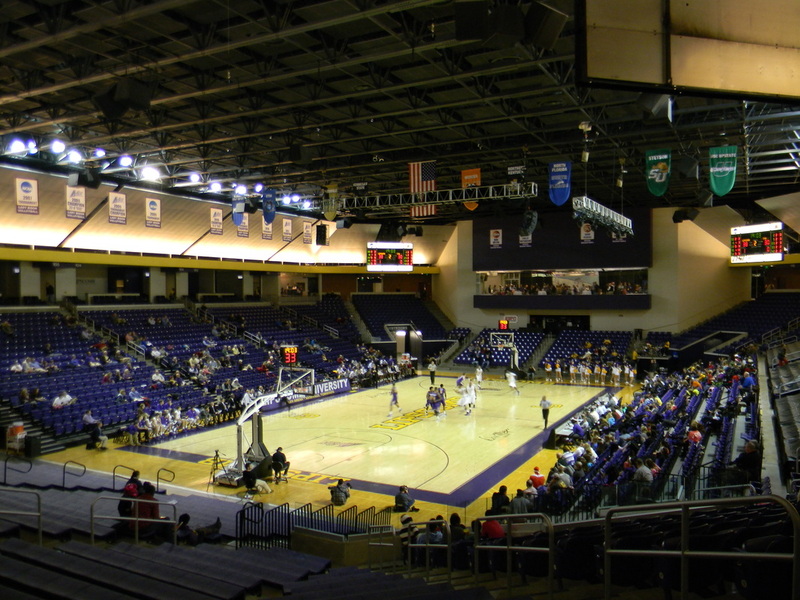 Allen Arena opened in October of 2001 at the cost of 16.5 million. 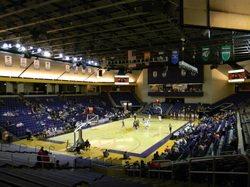 The arena sits on campus. The capacity is just over 5,000 and features several suites. The lower bowl is the only seating at Allen Arena. Behind the south concourse, in sections 108-111, they have purple plastic bleacher seating. These sections are general admission. Opposite of the south concourse sits sections 100 and 119. The band sits in 119 and fans sit in 100. Above the seats are the Hall of Fame Room and banners of retired numbers, coaches and a NAIA Championship banner hang. Sections 101-107 sit behind both team benches. In sections 102-106 they have padded chairback seats. Behind these sections they have six suites and a broadcasting center for TV games. Above the suites they have several banners for A-Sun championships and NCAA Tournament appearances. Around 70 percent of the concourse is open to the floor. The concourse features plenty of activities for kids in the South Concourse. The east concourse has the Bison Athletic Hall of Fame. Behind the Hall of Fame Room they have plenty of trophies and a Bison. The west concourse is completely open to the court with no obstructions. 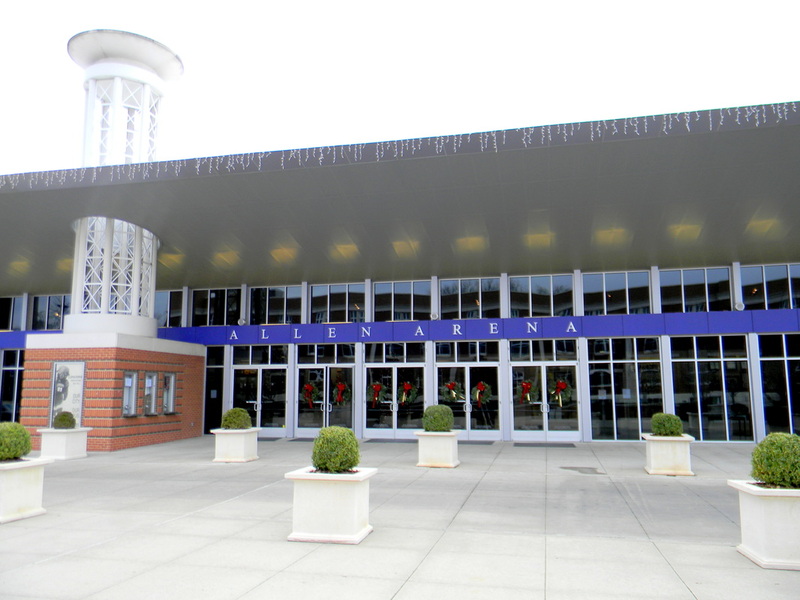 The outside of Allen Arena includes a silver overhang with glass windows across the front of the arena. 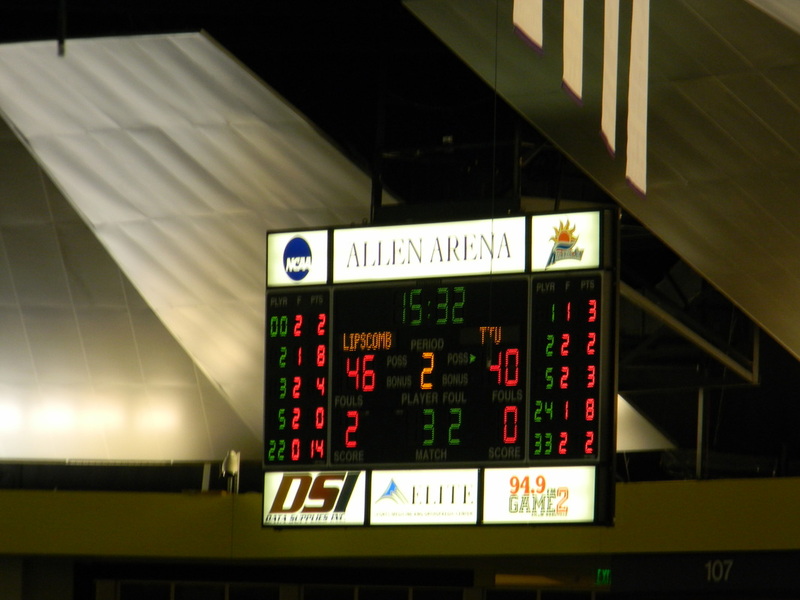 The name of the arena is featured in white writing on a purple background. 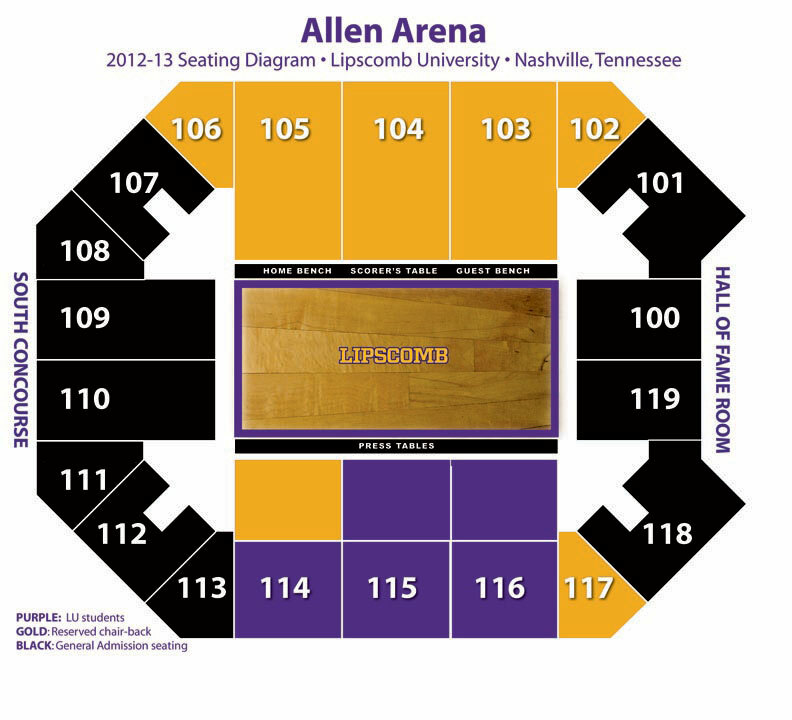 #1 Lipscomb isn't downtown, head there before the game. Check out Broadway for a true Nashville experience. Plenty of live music, food and drinks on Broadway and the surrounding area. #2 The Green Hills Mall is less than a mile away from Lipscomb campus. It's a nice mall with high end stores. #3 Find parking on campus, they have a parking garage and places to park around campus. Parking is free. #4 Take a walk around campus and be sure to see the Bison Statue. #5 Head to Allen Arena! Allen Arena: Allen Arena is a great place to see a basketball game. With capacity just over 5,000 every seat in the building is great. Every seat in the building being purple is nice. Uniformed colored seating goes a long way for any arena. Having suites in an arena this size is a plus. Adds a different look to the arena and offers fans different seating options. Seating is very close to the floor for the fans to be close to the action. The open concourse allows for plenty of standing room options. 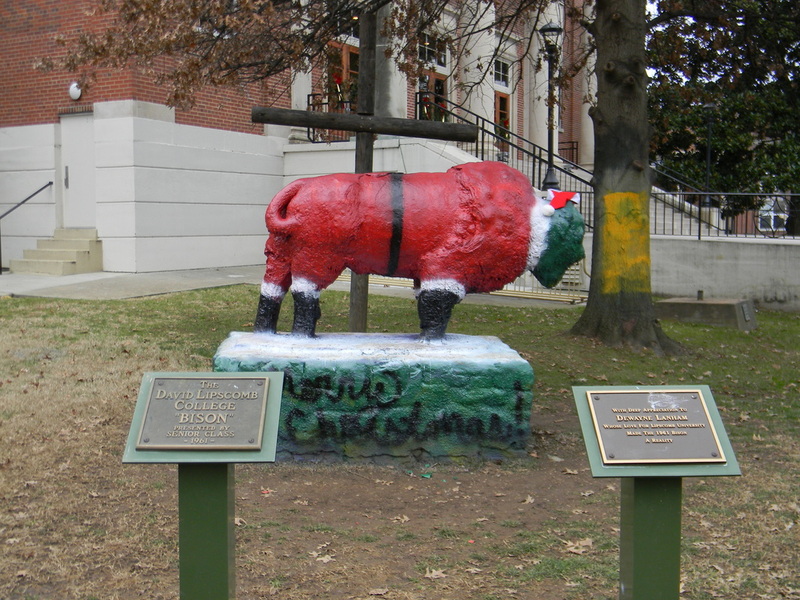 Lipscomb: Lipscomb University a liberal arts school in Nashville, TN is home to the Bison. The campus has an enrollment of less than 5,000 students. 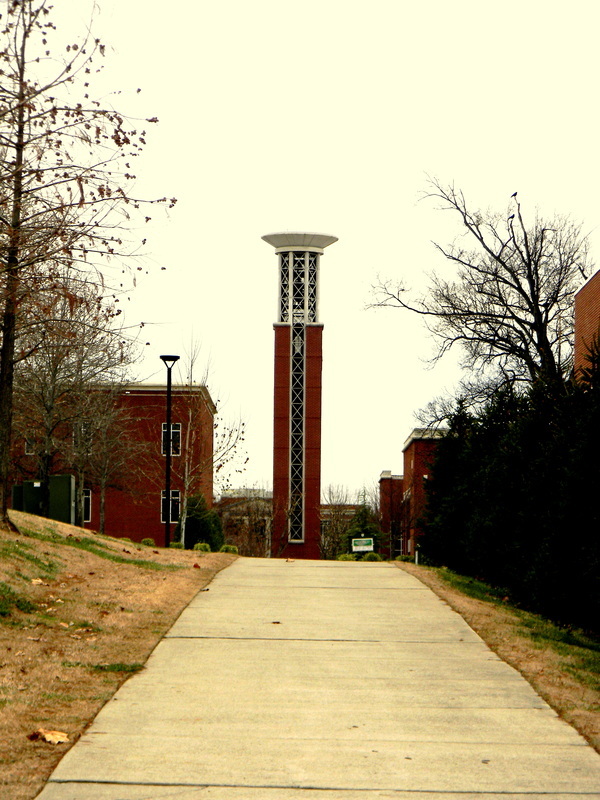 The urban campus sits on 83 acres. Bison Square is the center of campus and is surrounded by the campus center, Collins Alumni Auditorium, Music Center, and more. The Bell Tower is located near Allen Arena. Beyond the Bell Tower sits all the athletic facilities. Don't miss the Bison Statue near Bison Square. Scoreboard: The four scoreboards they have are nice, but a videoboard or two would be a nice addition. I don’t think a center hung scoreboard would work in the arena, ceiling is too low and likely couldn't support the weight of the scoreboard. Atmosphere: A pretty fare crowd at Allen Arena. The student section was active all game and had a good showing. I’d like to hear a little bit more from the band. The low ceiling provides a louder environment as well as the paneling that surrounds the top portion of the arena that is angled towards the floor. Place Your Allen Arena Rating Here!